Now, there are 2 ways to login to senangPay Dashboard. 1. 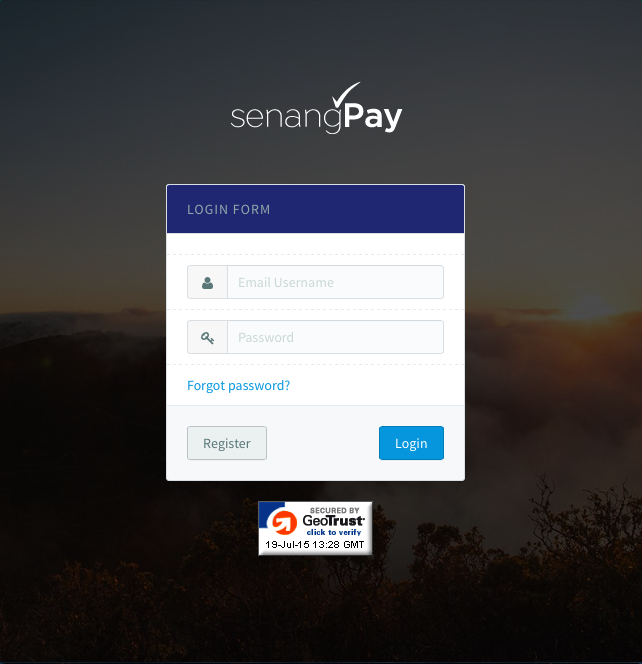 Login through senangPay website. Simply click on the “Log Masuk” link on top of the web menu. 3. Next, insert your username (registered email) and your password. 1. You can save the dashboard page as your bookmark in your web browser, or your smartphone / tablet.